We pride ourselves in our vast and varied selection of fabrics. From the very well known Mungo to the handstitched gudris of Northern India, there is truly something for everyone. Mungo has earned a reputation for quality and beauty. They produce many of their fabrics on antique handlooms near Plettenburg Bay, giving these varied patterned and coloured throws and bedcovers a timeless quality. 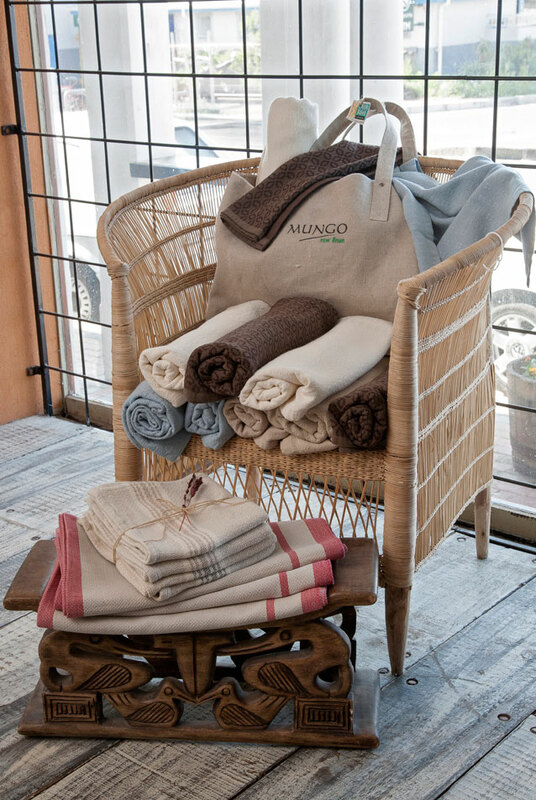 Bamboo and cotton towels as well as brightly coloured kikois and wraps, are some of the products to choose from.